The goal of blackjack would be to get a card total closer to the number 21 when compared to the card total of the dealer without going over 21. Here, aces are worth 1 or 11, while face cards are worth 10 and the number cards are worth their own face value. If your initial two cards consists of a card with a value of 10 and an Ace, you are said to have a Blackjack, winning you 1.5 times your actual bet. 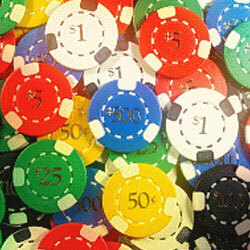 If you have a total closer to 21 and higher than the total of the dealer, you will win the same amount as your bet. If you exceed a total of 21, you lose or 'bust'. If you end up having the same total as the dealer, nobody will win and you will simply get your bet back or 'push'. A Blackjack beats everything, even an eventual total of 21. This is probably the ultimate blackjack download. Not as with other games of blackjack, this one combines the excitement of regular blackjack with amazing brand new features. Begin at a table and try to get to the status of a high roller the more you play. With a built-in banking system, it would even be possible to take bank loans out and play beyond bankruptcy - a never-ending gaming experience! Even if you have never played a game of blackjack in your life, your in-game assistant will teach you all you have to k now as a beginner.